For many years, Allennita Cooks has had the privilege of working with children not only as a teacher but also as a storyteller. She loves to read to children as well. She has a BS in Elementary Education and although she is now retired, Allennita works as a volunteer for various organizations in a teaching capacity. 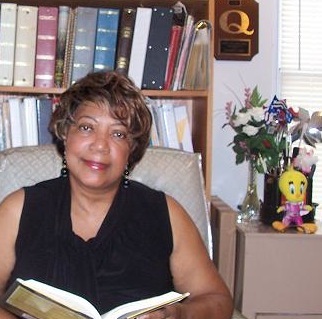 She has written skits, poems and stories since her teen years and even though they were unpublished, schools and churches used them in various programs. Many of Allennita's dreams have come true. However, there still remained the dream of becoming a published author. 2011 changed that with the publication of two short stories. "Grandma Mabel and Princess Ann" received Honorable Mention in a Creative Writers' Notebook contest and was published in Journeys IV - An Anthology of Award-winning Short Stories; "Suzie Sounder and the Not So Silent Sleepover" was published in The Story Shop - Stories & Poems for Sharing. Allennita nurtures her passions for writing by being a member of the Children's Author Team of the Villages (C.A.T), Writers League of the Villages, CBI (Fighting Bookworms) and FWA (Florida Writers Association). The book, Grandfather Tree, is a milestone in Allennita's life. It is the first book published and her first effort as an illustrator. With the Lord on her side, more books, poems, and stories are on the way.